Every man ought to own some cast iron, but once you have your skillet squared away, it’s time to move onto a Dutch oven. They retain heat excellently, they’re ideal for cooking over campfires, and you can make everything from stew to cornbread in them. 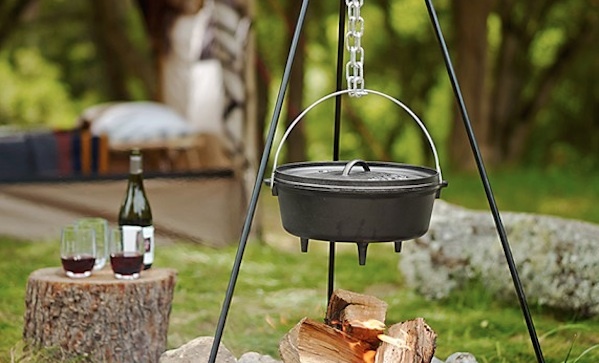 Oh, and since this Lodge Camping Dutch oven ($95) comes with a tripod and chain, you can regulate heat with simple chain adjustments.